Next - the backend. Here, I could write a simple backend in Node.js and Express but I’m lazy so I chose not to. Instead, I’m going to use Para for my backend and I’m not going to write any code on the server. If you are new to Para, it’s a general-purpose backend framework/server written in Java. 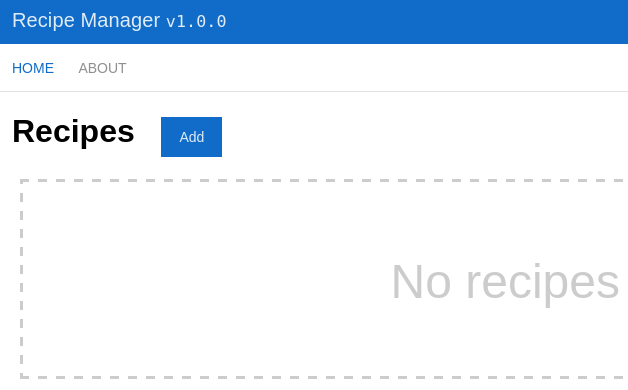 It will save me a lot of time and effort because it has a nice JSON API for our app to connect to. To run the server you’re going to need a Java runtime. Save the credentials to a file, we’ll need them later to access the backend API. 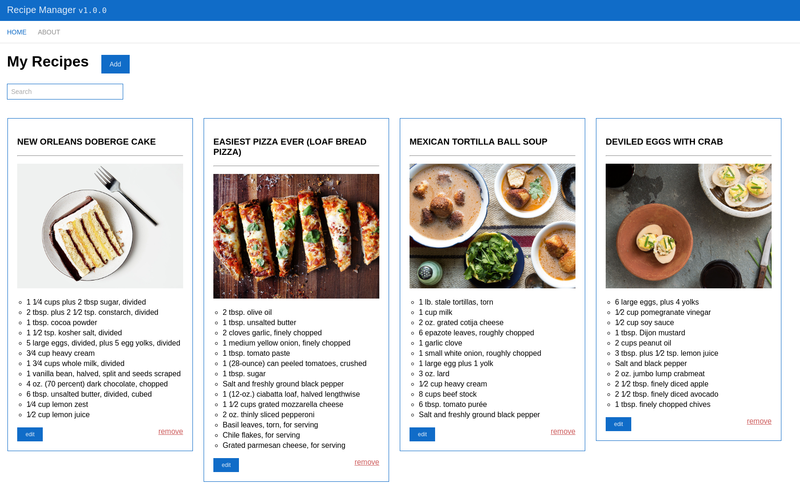 Let’s create an app for storing recipes - a recipe manager. Our goal will be to build just the basic CRUD functionality, without adding extra features like authentication and login pages. By default the backend is secured and only signed requests are allowed, but for the purpose of this tutorial we’re going to add a new permission to allow all requests to just one specific resource - /v1/recipes. Go to console.paraio.org and enter the credentials that you saved in the beginning. Also click the cog icon to edit the API endpoint and set it to http://localhost:8080. Click ‘Connect’. This defines a single permission that allows * - everyone to access /v1/recipes using a list of allowed methods, in this case * - all HTTP methods and ? - anonymous access is allowed. Thus, we’re essentially making this resource publicly available. Click ‘Save Changes’. 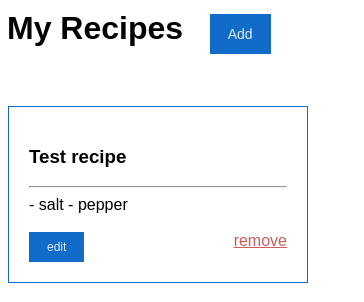 I’ve added the “Add” button which shows the form where we can write a recipe (controlled by newRecipeForm()), a textarea, and a close button. Notice how the text value of the “Add” button changes to “Save” when we’re in edit mode. Coming from AngularJS, you’ll notice the weird [(ngModel)] syntax - it’s a two-way binding (single brackets is one-way). Similarly, *ngIf is just shorthand for [ngIf]. You’ll notice that in home.component.ts, we subscribe to the Observable returned by recipeService.add() and get back the list of recipes when they arrive. The variable recipeId will keep the value of the id when a recipe is being edited. When “Save” is clicked this id is passed to the service and the backend so it won’t create a new object, just update an existing one. We’re issuing these requests and we don’t care about the results because we can update the UI instantly, without having to wait for the request to finish. 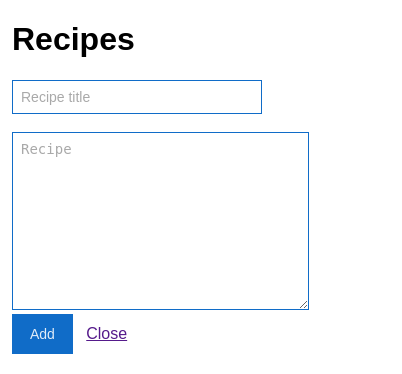 Let’s also add similar methods in our recipeService for updating and deleting recipes. The methods editRecipe() and removeRecipe() are relatively straightforward - when editing, we switch to edit mode and we show the form, when removing we just filter the array recipesList and we discard the deleted recipe if it matches the id. 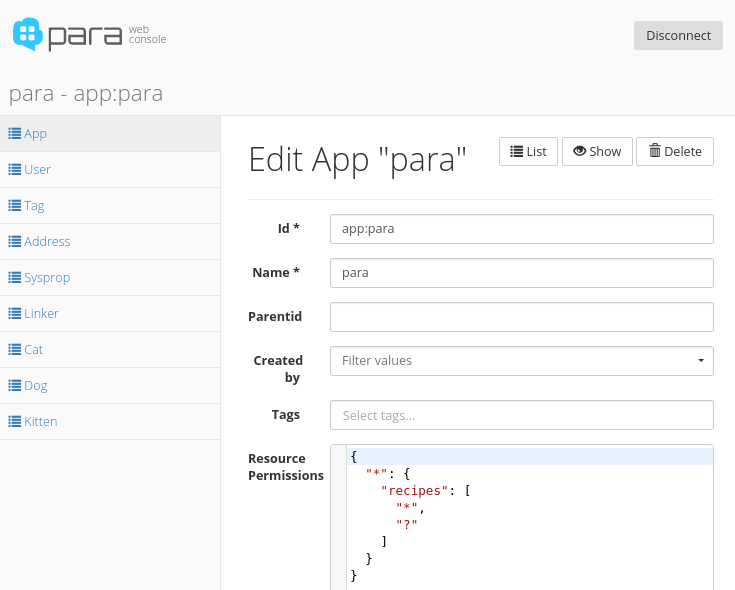 In home.component.ts we’ll modify the code for addRecipe() to also edit a recipe when recipe.id is set. We can now add, edit and remove recipes but they aren’t very pretty and the formatting of the text is lost. 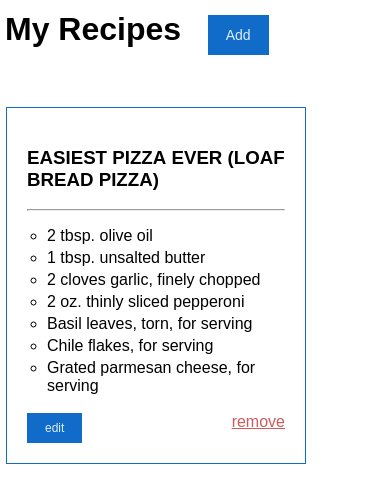 In the next step we’ll make it possible to write the recipe text in Markdown and then render it in HTML. Finally we’ll implement a simple method called md2html() which will be used in our template. 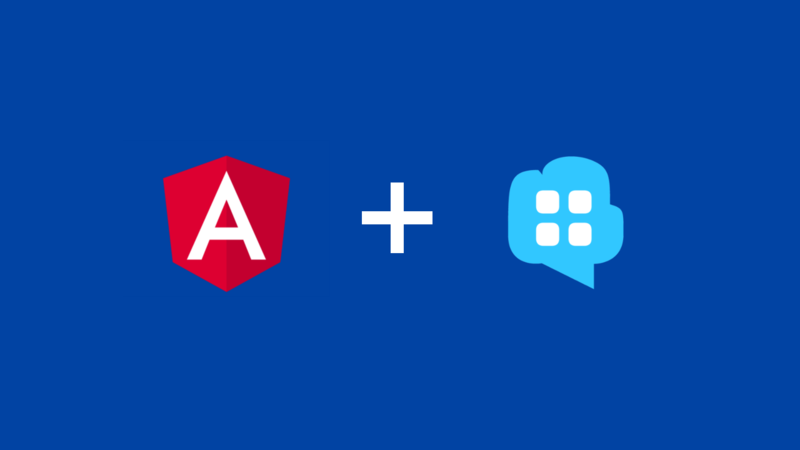 Learning Angular takes some time as it introduces a lot of architectural changes and new syntax. Writing in TypeScript feels fresh and more like writing in a real statically typed language like C# or Java, rather than a dynamic language like JS. The import syntax was a bit hard for me to get used to, especially with all the different files I had to navigate through. In general, the experience of writing Angular apps is great - the syntax is clean, the app is well structured and the error messages are clear and understandable. The code for this tutorial is on GitHub at albogdano/angular2-para. I’ve deployed the same code to GitHub pages as a live demo which is powered by our cloud-based Para service.